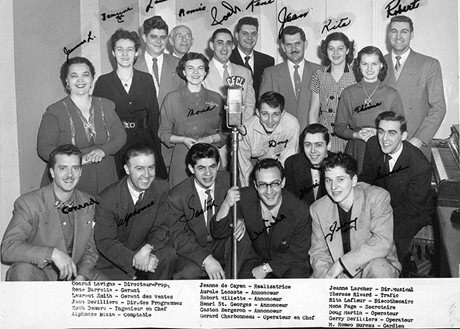 The first French-language radio station in Ontario, CFCL-Timmins, began broadcasting in December 1951. The event was greeted with enthusiasm by Franco-Ontarians who until then had heard limited programming in French over the airwaves. The station reached listeners from Kirkland Lake to Hearst, showcasing local talent and creating a sense of community among the widely dispersed francophone population of northern Ontario. Daily features on French life in the region taught cultural pride, the love of one's maternal language, the importance of sending children to French schools, and of furthering their education. The creation of CFCL by the station's owner and founder, Conrad Lavigne, was a landmark in the cultural development of the northern Franco-Ontarian communities. 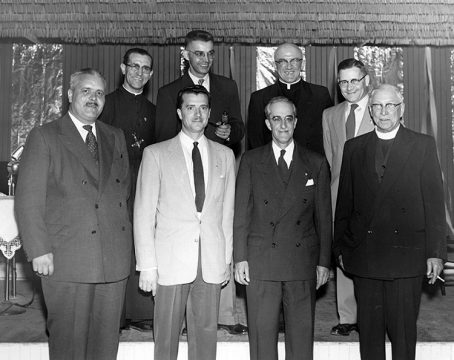 Visit the plaque – In Mattagami Historical Park at Algonquin Blvd. West and the Mattagami Bridge, Timmins. YouTube video – Learn more about the establishment of La television française de l’Ontario (TFO, in French).